The first thing to be clear on – a train set contains everything needed to start a layout – train, track, electric controller etc. Sets are not to be confused with a train pack which contain a locomotive and carriages only. A train set is the perfect start to a hobby that is creative, can help develop practical skills and one that neither abandons technology or encourages sitting in front of a screen. Who would want a train set? Each train set will usually have a target audience. Although the target audience is clear on Thomas the Tank engine train sets (not reviewed here) it isn’t so obvious on other sets. So train sets reviewed will be marked as 5+ for those suitable for younger audiences (I wouldn’t recommend an electric train set for those younger than five years old). Do not forget that children will need supervision in setting up and running electric model trains. Model train also have a large following of older children, teenagers and adults who are likely to appreciate the finesse of the better detailed but delicate models. 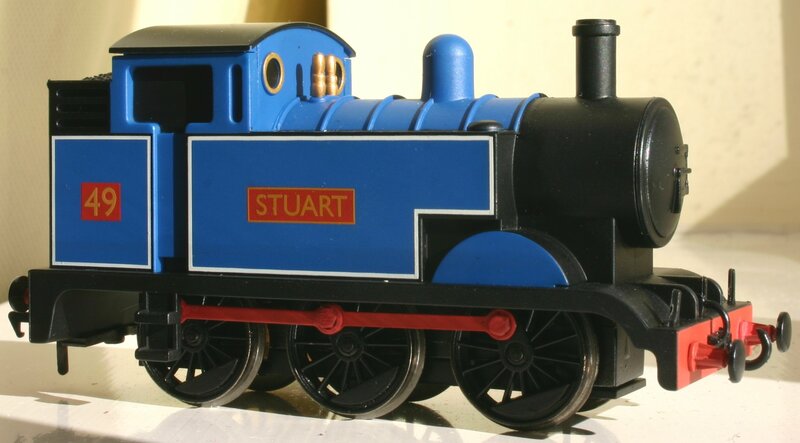 As it can be a lifelong hobby, do not necessarily go straight for a Thomas the Tank engine set for the younger enthusiasts. Should I ignore Catalogue numbers? No!! Always check the catalogue number matches with what you are looking for, or you may be getting something that is really out of date! This is very true Hornby’s Flying Scotsman train sets – the latest versions have a DCC Ready loco-drive (Railroad) versions, but until recently the relatively poor tender-dive versions were still being sold. DCC stands for digital Command Control. DCC or digital control differs to standard (DC) control by the user having individual control of each model rather than control the current to the track and directly to the motor. DCC makes having more than one model a lot easier and I would definitely recommend starting in DCC. If a model or train set is DCC fitted it will work using DCC control straight away, if it is DCC Ready it means that (in theory) it is easy to convert to DCC at a later date. If DCC isn’t mentioned it means converting at a later date will be tricky and require soldering.